FLIR TG165 Spot Thermal Camera. The FLIR TG165 Spot Thermal Camera is a must-have device which successfully bridges the gap between single spot IR thermometers and FLIR’s range of traditional thermal cameras. It works by enabling the user to actually see the heat, thereby indicating precisely where to measure it. It employs FLIR’s exclusive Lepton micro thermal sensor to seek out hot and cold spots, and allows data and images to be stored which can be conveyed to customers and included in reports. Its beauty is in its simple usability, intuitive as it is to operate and requiring of no special training. A 24:1 spot size ratio allows hot spots to be measured up to an incredible 380 degrees Celsius (716 degrees Fahrenheit) over a safe distance. This item includes a handy 8Gb micro SD card for the safe and generous storage of images, documentation and data. Images can be rapidly downloaded either from the memory card, or via the USB cable which arrives as part of the package. It is compact, hardy and durable, enabling easy storage in a tool bag without fear of damage as it is designed to withstand a drop of up to two meters. For additional peace of mind it is also covered by a product warranty of two years for parts and labour and ten years for the infrared detector. 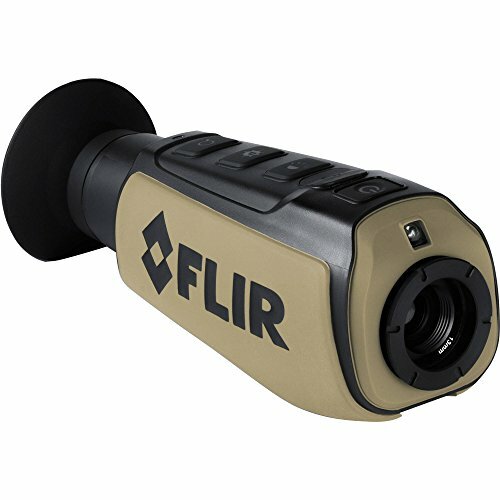 The FLIR TG165 has a thermal resolution of 80 x 60 pixels, and a temperature range of -25 to 380 degrees Celsius (-13 to 716 degrees Fahrenheit). It uses a rechargeable lithium-ion battery and boasts an entirely adequate two-inch screen size. Its pièce de résistance is its unique and exclusive Lepton micro thermal sensor which is able to identify hot and cold spots, permitting images and data to be either stored or transmitted to customers and to be featured in reports. The device also has the distinct advantage of being extremely user-friendly, with a simple trigger mechanism which enables confident use without the need for training. A Class II laser product with a 1mW power output, the TG165 boasts 150mK sensitivity and a 9hz refresh rate. It comes equipped with an 8Gb micro SD card and USB cable offering increased options. Extremely affordable, the device is also rugged and resistant to damage. An international charger is included in the package, allowing for use in any major domain. Reviews for this product predominate in the four- to five-star range, with negative observations few and far between and then focussing on minor criticisms or isolated issues with individual appliances. Many of the positive reviews concentrate on its economy, pointing out that this is a product, which costs very little and yet performs highly technical work with a striking degree of precision and accuracy. Others remark upon its unique performance and functionality. Whilst it is acknowledged that the higher-range version does boast superior precision and enhanced usability, the value of this item for everyday use and its affordability ensure that it is nonetheless a highly popular product. One of the criticisms levelled is that the product is wrongly described as a thermal camera as opposed to a thermal imager. However even this critic acknowledges the TG165’s extraordinary capabilities. Another critic complains about the life of the battery. Reviewers are impressed by the ease with which this product can be used, even by the inexpert. No training is required, the devise works on a basis which has succinctly and accurately been described as “grab and go”. A number of commentators also write of how robust the device is, allowing it to be transported in a busy kit bag without the need for excessive nurturing to avoid breakages or damage – this can be very handy for busy professionals constantly on the go. At the same time the warranty which protects it provides a source of some comfort and reassurance. Like most FLIR products the TG165 is at once a low-cost and high-performance device, bringing sophisticated thermal imaging technology into the sphere of the small businessman, the private individual and the inexperienced user. Its simple, one-click operation takes the mystery and the confusion out of thermal imaging and enables everyday usage by the everyday individual. 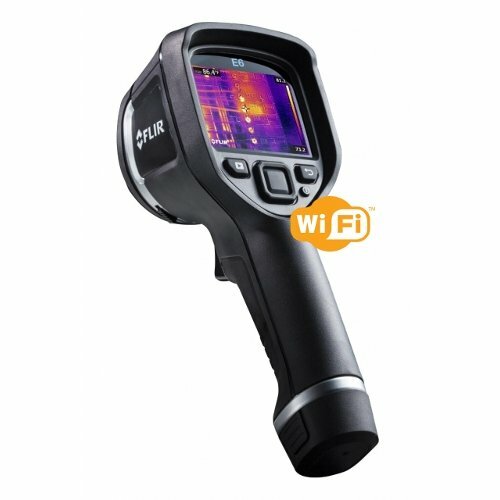 The device can be said to bridge the gap between single spot infrared thermometers and FLIR’s own popular range of traditional thermal imaging cameras. Its rationale is simple – it enables the user to actually see the heat at source, providing simple guidance as to the point at which it can be measured. In this endeavour it employs FLIR’s unique and exclusive Lepton thermal sensor, and permits images and information to be stored which can be populated into reports and delivered effortlessly to customers, either via USB cable or micro SD card, both of which are included as part of the package. The device incorporates an accessible two-inch viewing screen, and its safe 24:1 spot size ratio makes for safer distance measuring. To cap it all this excellent piece of equipment is highly resistant to damage, being sturdy and durable enough to allow it to be transported by hand, uncovered, in a bag full of tools. It is designed to survive a drop of up to two metres. And, if all else fails, it is covered by FLIR’s characteristically generous warranty. Of course, the higher product in the range offers stills more functionality and detail, but as an economical and user-friendly devise the TG165 more than holds its own in any company.